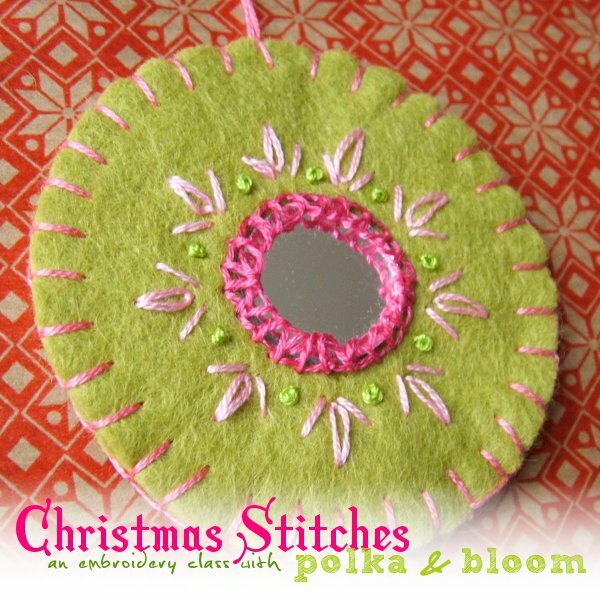 I am so pleased to announce the Christmas Stitches embroidery class! It has been in the works for quite a while and now I can finally tell you about it. In brief: it's a 4-week online class were I teach you some of my favourite embroidery stitches and then you can use them to stitch 11 colourful embroidery patterns and make 6 different types of project, all designed especially for the class! You can sign up for the class right here - and read more about the detail, of course. The class starts on Monday October 25. If you sign up by Friday, October 22, save $5 using the code CHRISTMASBLOG.